While you are in Los Angeles, you will probably want the opportunity to go shopping. With so many iconic places such as Melrose Ave and Rodeo Drive to consider, you might not know where to shop in LA. To make things easier, here are the top 10 best places to shop around Los Angeles. A walk down Beverly Blvd will reward you with extravagant shops from expensive showrooms to retail shops of the famous fragrance website www.luckyscent.com. Beverly Blvd is also one of L.A’s premier areas for mid-20th-century furniture. Modernica is one of the most famous shops in the area. If you are looking for something artsier, head over to La Brea Avenue. Home to fantastic urban antique stores, you’ll find pieces in the Art Deco style, 1950s modern style, and others. Other places to look out for include furniture galleries, vintage cloth stores, and Campanile – one of the top restaurants in the city. Robertson Blvd is one of the most popular shopping streets in LA. Stars such as Paris Hilton, Lindsay Lohan, and Jessica Simpson frequent the shopping area. If you want to shop and also catch a celebrity sighting, this is the place to do it. The Sunset Strip is another famous shopping area. Lined with trendy restaurants and shops offering the latest fashions, you’re sure to find something to your liking here. Don’t let the monster size billboards that line the road distract you. Silverlake’s hipster rating has been steadily on the rise. Home to nightclubs and bar hopping, this indie area is the perfect place to go if you’re looking for artsy boutiques or music stores. In Downtown, locals hunt for bargains at the garment and fabric district in LA. Another local favorite is the Flower District or Olvera Street – a pedestrian lane celebrating the Mexican history of Los Angeles. J-Town, or Japan Town, in West LA, offers some of the best Asian-American pop-culture stores. You’ll find Asian books, toys, art, music, t-shirts, and other accessories in this area. 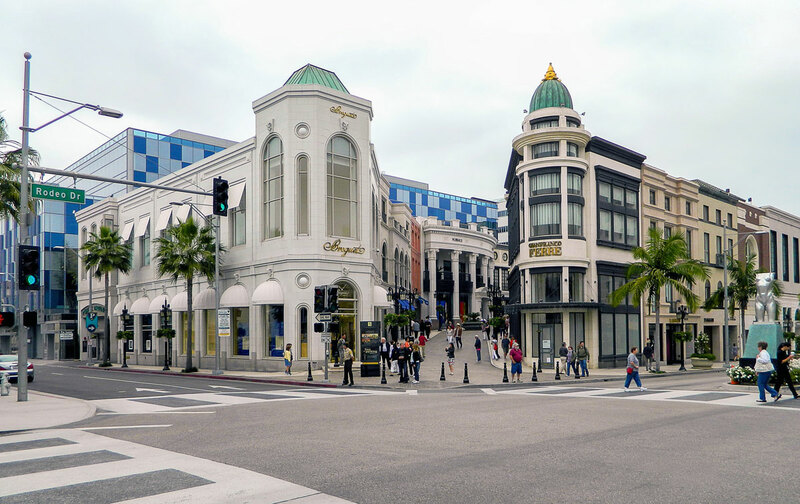 No matter which area you choose, you are sure to have a fantastic shopping experience in Los Angeles.